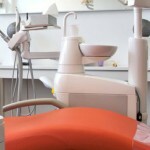 Do you remember the first time you had to get a root canal? Think back to the day or two before. There was pain; so much pain. Maybe you even got up in the middle of the night and went to your local drug store to find something new to provide you relief. Of course, there was nothing new. Topical numbing agents never went deep enough. Aleve and Tylenol didn’t work. Maybe you even tried holding an aspirin in between your bad tooth and gum but all that gave you was a sore spot and a really bad taste in your mouth! Perhaps you saw an at home filling kit while you were there at the pharmacy. It promised to seal the cavity and alleviate pain until you could get to the dentist. Hopefully, if you ever saw such a product you avoided it! Any DIY dental or denture fixes are really not a good idea, not for your dental health and not for any investment you may have made in your dentures or implants! In fact, using a DIY fix could even create a problem with filing claims toward your insurance! My Dentures Broke, What Now? If your dentures break, either in the pink acrylic “gum” portion or the white tooth part, you need to do the same thing you would do if your natural tooth broke: Call your dentist or denture specialist! We’ll work you in for an emergency appointment. 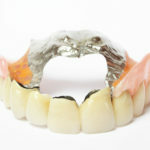 Don’t keep wearing the denture while it is broken. Some breaks can be fixed. 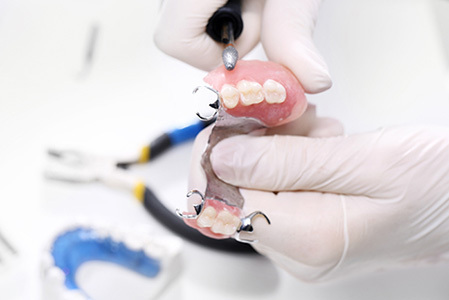 Dentures Direct has an in-house lab for denture repairs. If you still have your temporary denture from the beginning, now is a good time to use it. However, if the break is very bad, jagged, or in a difficult spot, the denture may not be easily fixed or restored at all. In this case, you would need to be fitted for a new one. Depending on the age of your dentures and the amount of wear they have, a new set isn’t a bad idea! After all, your dentures sit over your gums, but with time your gums narrow and change shape. This process causes a loose fit, discomfort or pain, and trouble speaking and eating with your dentures in. Additionally, if you’ve had your dentures for more than ten years, there’s a good chance that they have sustained some wear and tear: scratches on the teeth and acrylic surfaces that end up holding food, or a rough spot on the back of the palate that makes swallowing uncomfortable. 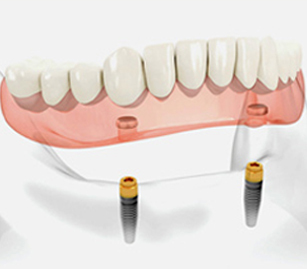 Getting fitted for a new set with your Toronto denture provider at this point is well worth it! How did your dentures break in the first place? Did one of the teeth pull out while you were eating? Did the plate crack while you were chewing into corn on the cob? Perhaps they simply did not have a good fit anymore due to changes in your mouth shape. Or, maybe you dropped them on the floor during your nightly cleaning! If your dentures broke while you were eating, you might want to read up on the kinds of foods to eat and to avoid as you wear them in our 4 Tips for Learning How to Eat with Dentures post. Eating nuts or other small hard foods like popcorn can cause pressure points between the gums and the acrylic, leading to a break. Biting with your front teeth can unseat your dentures and over time may make them crack or lose a tooth. Similarly, chewing tough foods, like steaks or ribs frequently uses a cross-bite action, applying the bite forces unevenly, changing the shape of the denture and causing it to break. Talk to your Toronto denture specialist if you have questions about the kinds of foods to eat with dentures. You might be in a rush at night to clean your dentures and get to bed, but try to slow down! Put a towel down over the counter first; if you drop your dentures, they will have a soft place to land. Use a soft-bristled denture or toothbrush with a non-abrasive cleaner to get rid of food residue, adhesive build up, and plaque. Be careful holding them with wet hands after you rinse them off! Just because you have dentures and not natural teeth doesn’t mean you are exempt from a six-month checkup with your Toronto dentist. It’s actually crucial for you to have your prosthetic and the underlying tissue examined regularly. If your denture doesn’t fit right it can cause irritated spots on your gums, or even cause it to break. Additionally, your jaw and gums change over time with dentures. When you make it to your six-month appointment, our Toronto dentist can spot the key areas and see where your mouth is changing. 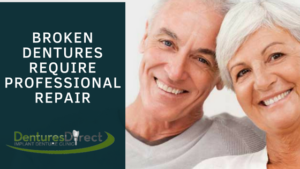 Catching these problems ahead of time can help you maintain your current dentures better and get the replacements or adjustments when it’s the best time. Dentures can break from time to time, but leave the DIY kits in the store. 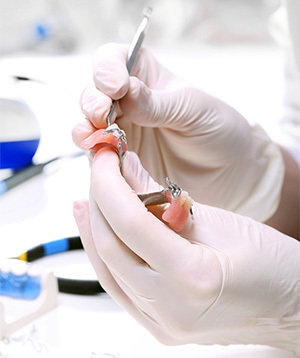 Your Toronto denture provider can help restore them properly for a healthy, comfortable fit!